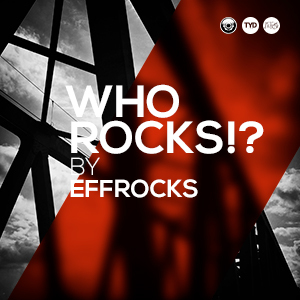 DJ Effrocks is a regional DJ from the Bavarian region in Germany. He has been active for over twelve years and runs his own event together with a small crew. The event, called TRUST YOUR DJs, has been running for more than five years, where regional, interregional and, occasionally, international DJs already were guests. With the radio show WHO ROCKS ?! by EFFROCKS he likes to show both, his musical preferences as a DJ as well as those from DJ colleagues from his surrounding field. Numerous guestmixes in alternation with Effrocks himself ensure the necessary variatiy. Stylistically, this series is best described with techno to techhouse, with various facets ranging from deep, melodic to more heavy. And if you follow DJ Effrocks on Facebook or Instagram, you’ll know when and where to listen and download the show as a podcast after the broadcast.